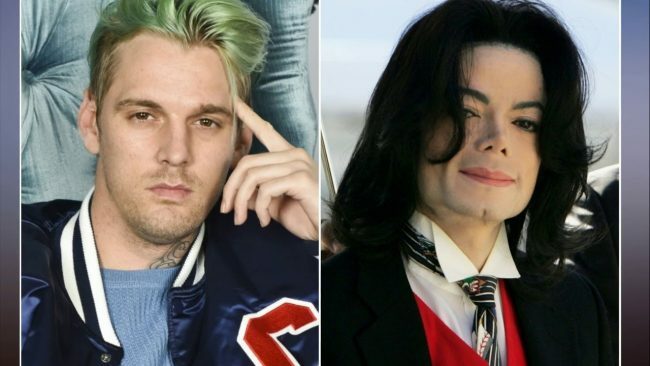 Aaron Carter told TMZ that he is ready to speak truthfully about his experiences with the “King Of Pop” Michael Jackson. TMZ spoke to TMZ on April 11, 2019, and they caught Carter at LAX airport. He said he was going to reveal his real experiences with Michael Jackson. When asked if he was going to discuss abuse, Carter refused to answer. Carter said his family knows all his truth regarding Michael Jackson, and he will always love his family. However, they may not like what he is about to reveal. One month ago, TMZ spoke with Carter, and he said something totally different. When asked about the “Leaving Neverland” documentary about the late pop star, he said he did not believe it or believe the alleged victims and was very disappointed with them. Carter said he went to the same vocal coach as Jackson and idolized him. He also said he slept in the same bedroom as him, and Jackson never tried anything with him. When asked how old he was when this happened, he responded he was 15 years old. Carter said he found it odd that when Jackson was alive, everybody was kissing up to him. Now that he is dead, people all come forward and stomp on his grave. He also did not believe a child would remain silent. Carter said when he was younger, he would have told everybody, and he never kept his mouth shut. Carter was asked if it was possible a child might like for an older individual, especially when they are that young. Carter did not believe a child would remain silent. Carter also felt that the people in the documentary were coming forward to get paid. He was corrected and was told nobody received payment for the documentary. He responded that they would get paid for interviews. He was offered six figures to sit down and do an interview, which he turned down. Carter stressed because Jackson did nothing to him, he could not have done it to anybody else.